It should be in your driver side kick panel, mounted near one of the joint boxes. The relay is connected to the clutch safety switch on the clutch pedal. If you trace that it will lead you to the relay. Since I dont feel like opening up all the harness under the dashboard its not an option. 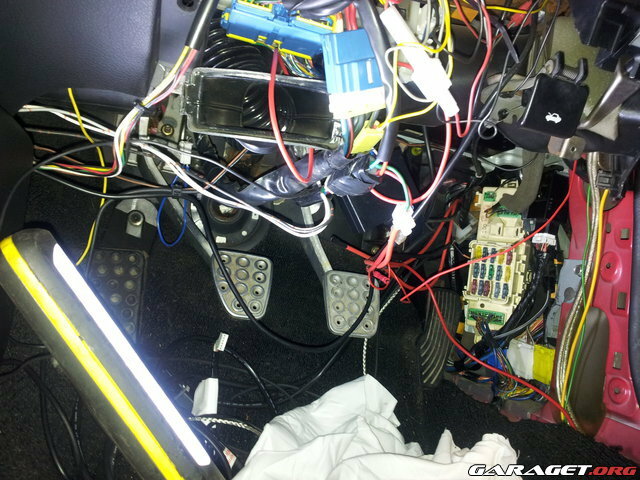 I have checked evrywhere under the dashboard on both sides and cant find any relay that could be for the starter cut relay. Anybody who has or know where to find the service handbook for RHD rx7?? A2-03 It's the only dark blue connector in your front harness(Driver side kick panel). You can use a continuity tester from the clutch safety so you wont have to peel the harness. 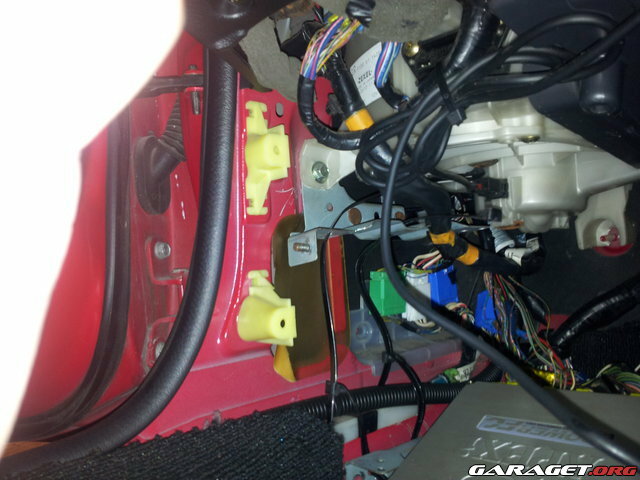 I checked my car and I can`t find the relay or a dark blue connector. Heres some pictures I took. Can you please show me where to look? Passanger side: The cpu 2 is on the floor there. Are you sure the relay is the same on RHD as the LHD? 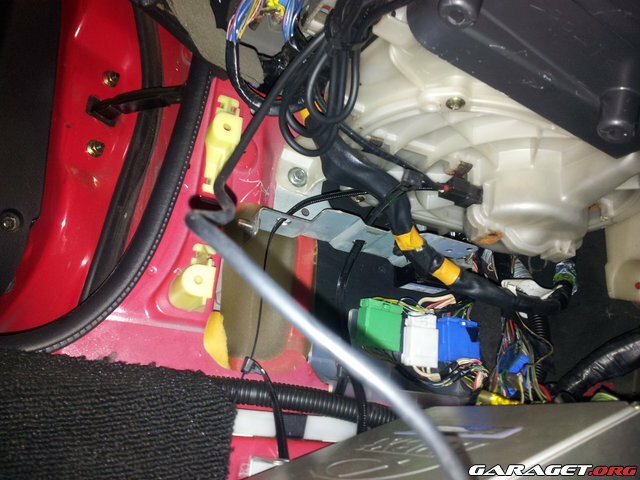 I found a picture of the starter cut relay and the CPU1 and they are as you say, left kick panel on the driver side in a us-car. Anybody who has any idea?? Dont know whether this will help but I put a new starter on my car because it was cranking a little slow. The new starter would not crank at all. This my not make sense but the proplem was the main ground in the wireing harness it was not conected to a ground, I conected it to a nearby bolt ,top bolt on starter. Yrs earlyer I noticed this wire hanging but didn't know what it was for. How the car started with out it before with the old starter I can't tell you but my starter now spins like crazy. I think the other end of this wire goes to the negitive side of the battery.